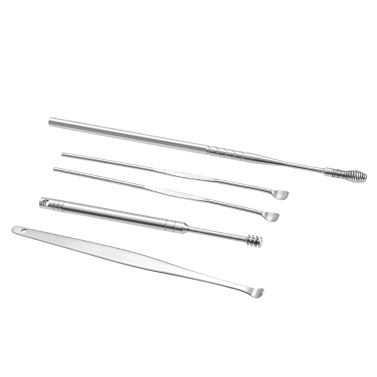 5pcs Stainless steel earpick, spoon shape and Spiral-type, effectively to remove ear wax. 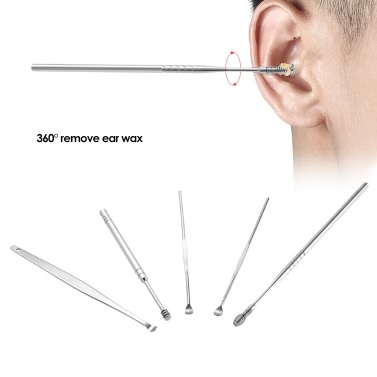 Stainless steel earpick, effectively to remove ear wax, rustless & durable. 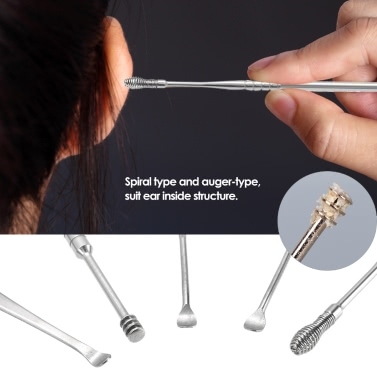 Spoon shape and Spiral-type, give your ear a better massage. Anti-slip design with elegant appearance, do not hurt you ear. 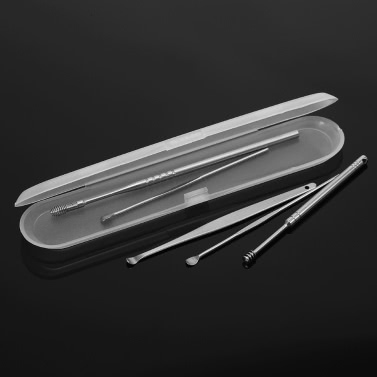 Safe tool for personal use and for your family. 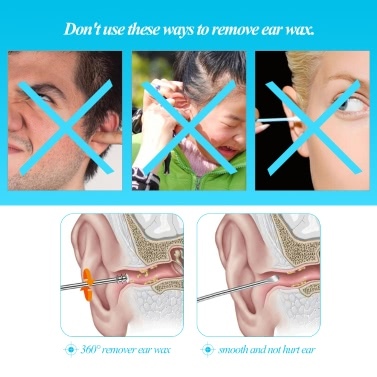 For the sake of your ear safety, please do not put the earpick too deep into your ear-hole. 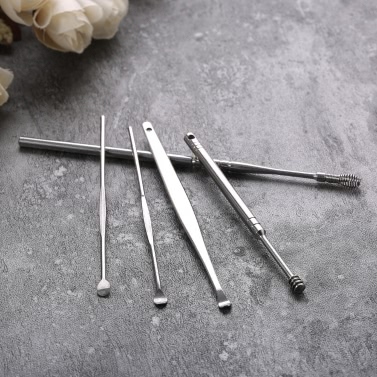 Please clean the earpick with tissue after every time use.